Located along the path of Biolley, the ski area of Les Menuires to Saint Martin de Belleville. Terrace with the best views of the south valley or the fire at the gloomy days, discover our specialties of our mountains and traditional home cooking. Our friendly staff, concerned for the welfare of its customers, will be hard to make you spend a pleasant time. 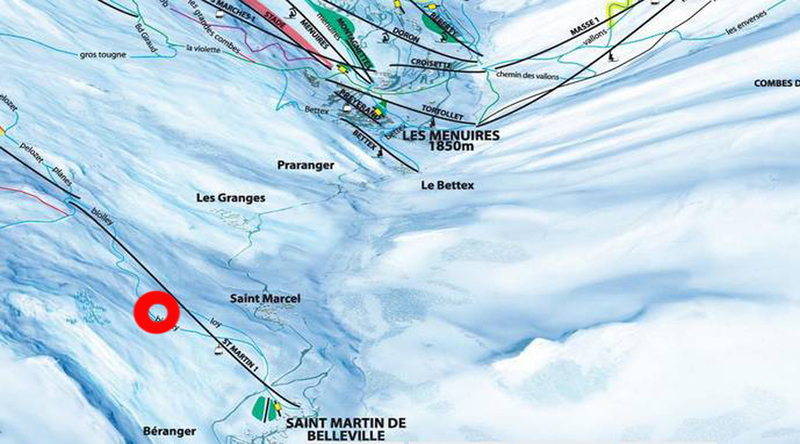 The lift ST MARTIN EXPRESS will allow a faster return on the 3 Valleys. An address recommended by skiers and surfers. For opérator tours, opportunities to book with "freebies leader" and offered to customers. - Accessible on snow shoes (raquettes) (ask for info).